In beverage bottling operations, you must eliminate any residual oxygen from the bottles to keep their products fresh. If you are looking to procure industrial vacuum systems or liquid ring vacuum pumps, you have come to the right place. At Airtech Vacuum Incorporated, we offer stellar products that can be used to flush the bottles with CO2, extract oxygen, and more. The basic processes in the beverage bottling include mixing drink ingredients and filling up bottles and cans with the drink. These drink products will then be distributed to wholesale sellers within a specific geographic area. Today, a majority of the bottling companies are franchisees of major corporations such as PepsiCo and Coca-Cola. However, some beverage bottling firms also bottle other beverages like wines and regional beers. There are several challenges that may stand in your way from running a high speed bottling line. But with the right technologies in place, you will be able to actualize your goals with greater ease. You will need vacuum and pressure related solutions because the quality of compressed air in the food and beverage industry is of utmost importance. The slightest trace of contamination could increase the risk of health hazards for consumers through polluted or altered product batches. It is imperative that you ensure air purity and protect the integrity of your products and processes from rust, pipescale, micro-organisms, atmospheric dirt, and more. The International Standards Organization states that beverage packaging and preparation are classified as a sensitive industry, i.e. Class 0 (a new class of air quality). Business owners must have the right vacuum and pressure technologies in place to prevent oil from contaminating vapors, aerosols, and liquids. 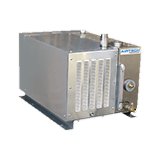 Why Choose Airtech Vacuum Incorporated For Beverage Bottling? 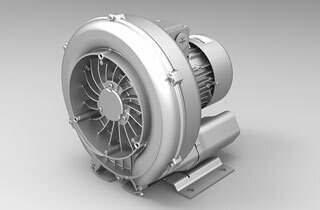 Since 1982, Airtech Vacuum Incorporated has been developing and manufacturing industry-leading technologies that position us a leading choice for oil-free vacuum pumps, variable speed blowers, liquid ring vacuum pumps, and more. Our team continually strives to serve each industry with unparalleled technology that provides superior, reliable performance cycle after cycle. When you work with us for your beverage bottling needs, you can have peace of mind knowing that we are ISO9001-2008, UL-, CE-, RoHS-, and CSA-certified. You should know that we are not only a distributor of vacuum and pressure products and systems. Since our inception, we have been providing top-notch custom design and engineering solutions for vacuum and pressure technologies. We understand that each of our clients comes to us with unique requirements, and that’s why we avoid providing cookie-cutter solutions. As you browse through our extensive line of ready to ship products, do not hesitate to contact our engineering staff that can help analyze your application and provide cost-effective design solutions. Start browsing through our inventory today and source for stellar beverage bottling vacuum and pressure products with exceptional ease!